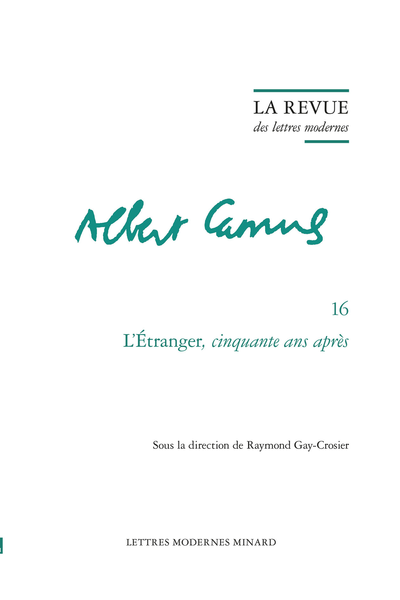 Abstract: The reedition of the Volume 16 of the series « Albert Camus » about L'Étranger provides a good opportunity to rediscover the great names of scholars of Camus studies through various approaches such as comparative literature, philosophy, narratology or juristic studies reflecting the richness and ambiguity generated by this masterpiece. 1. L'Étranger produit du «terrorisme surréaliste» ? 8. Meursault, un Job de notre temps ?